NOVEMBER 18--Just in time for the 30th anniversary of Natalie Wood’s death, Los Angeles sheriff’s deputies have decided to take a new look at the actress’s November 1981 drowning off Catalina Island. The move was prompted by a book co-authored by the captain of the yacht on which Wood, her husband Robert Wagner, and actor Christopher Walken were partying. The captain, Dennis Davern, contends that Wagner impeded his initial efforts to locate Wood after she went missing, and has claimed that the 81-year-old actor was “responsible” for his wife’s death. Natalie Wood's death has been reopened as a homicide investigation, primarily because of a book written by the captain of the boat where Natalie Wood spent her last minutes ... a book suggesting foul play ... this according to sources close to the investigation. We've learned Marti Rulli -- who co-authored the book -- has been in regular touch with the L.A. County Sheriff's Dept. over the last few months. She has given Sheriff's investigators documents supporting material in her book, and we're told the Sheriff is so impressed he has assigned 2 full-time homicide detectives to the case. In the book -- "Goodbye Natalie, Goodbye Splendour" -- Rulli and Splendour Captain Dennis Davern write about the night Natalie drowned. They say before Natalie disappeared from the boat, she was drinking and taking Quaaludes with her husband, Robert Wagner and actor Christopher Walken. Although she began her career as a child actress, Natalie Wood was never what you could call a "child star". There was no hint of the cutesy mannerisms of some of her contemporaries, but instead a sense of seriousness and intelligence beyond her years in her performances. She radiated warmth and grace in every scene. This was particularly evident when she played a war orphan refugee complete with a German accent opposite Orson Welles and Claudette Colbert in Tomorrow Is Forever at the age of eight. Her soft brown eyes reflected every emotion she conveyed on screen. Natalie was one of the few child stars that was able to make a successful transition into adult roles with no awkward period in between. Her explanation of this was: "I just went on working. I was always skinny and as I got older I could still play young girls and get by. I was never a child star like Shirley Temple. I always looked like an ordinary kid." Natalie's talent was far from ordinary. Orson Welles once said of his little co-star, "She was so good, she frightened me." 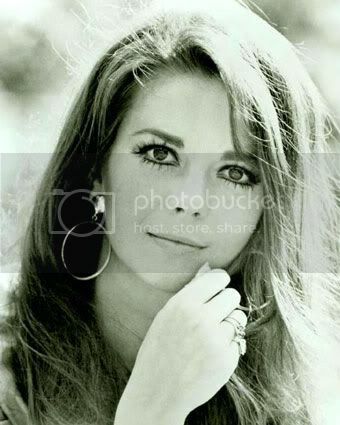 Natalie Wood was born Natalia Nikolaevna Zakharenko on July 20, 1938 in San Francisco, California. She was the child of Russian immigrants Nicholas and Maria Zaharenko (later changed to Gurdin, and Natalia changed to Natasha), the middle daughter between older sister Olga and younger sister Lana. Natalie made her film debut at the tender age of four. Unable to read yet, her sister Olga would read the lines to her and Natalie would memorize them. Her incredible career spanned almost 40 years. In 1969 Natalie married British producer Richard Gregson. Their short lived marriage produced one daughter, Natasha born in 1970 who is today an actress and the mirror image of her mother. Natalie divorced Gregson in 1971. The following Wednesday afternoon at Westwood Memorial Park author Thomas Thompson reassured those gathered to say their last farewell to Natalie Wood Wagner, as the Russian string instruments reminiscent of her heritage played softly in the back ground, "What a fabulous life she had!" and what a great lady she was. Seahorse started the first thread on the investigation into Natalie Wood's death, and Blonde opened a thread in "News of the Day" not long after. I've merged the threads, and by time/date default Seahorse's post (thread) is first. I can think of still another couple places a thread could have been started. This is really big news, and I'm very interested in the investigation. Thanks Seahorse & Blonde for bringing the articles. Thank You I saw their thread after I started one. I never believed it was a accident never..
Blonde, I agree with you. I didn't believe it was an accident when it happened either. When Robert Wagner published his acclaimed autobiography late last year, it contained, for the first time, his definitive account of one of Hollywood's greatest and most speculated-upon tragedies - the drowning of his wife Natalie Wood. According to Wagner, on the night of November 29, 1981, an intoxicated Natalie staggered off to bed after he and Walken had a blazing alcohol-fuelled row. He says that she left their stateroom clad in a flimsy nightdress to secure an inflatable rubber dinghy that was banging against the side of the Splendour, slipped on an algae-covered step and tumbled into the water. Nine hours later, the body of the woman who had captivated the world as the star of West Side Story, Rebel Without A Cause and Splendour In The Grass was found floating face down in the ocean by the US Coastguard, leaving Natalie's two daughters Courtney and Natasha without a mother. But for one woman, his account served only to reopen a painful wound that has festered for years. She says she is particularly concerned by recent claims made by the captain of the Splendour, Dennis Davern, in a new book - Goodbye Natalie, Goodbye Splendour - in which he states that, far from retiring alone to her stateroom, he witnessed Natalie and Wagner embroiled in a furious row in their room. Moreover, he says he heard the row continue out on to the open deck. I agree...although I was never sure of 'who done it'... and I always liked both Christopher and Robert...but leaned toward Robert holding on to the 'big secret'. Glad it is reopened. What a beauty...one of the World's most beautiful women, indeed. Robert Wagner is not considered a suspect in the death of his wife, actress Natalie Wood, the Los Angeles County Sheriff's Department said today. Lt. John Corina said Friday that new information deemed "substantial" has prompted homicide detectives to re-open the case. Corina said Wood's death is still considered an accidental drowning. A yacht captain said that he lied to investigators about the mysterious death 30 years ago, and blames Wagner, for her drowning on Nov. 29, 1981. In a special to air Saturday on CBS at 10 p.m. ET/PT, "48 Hours Presents Vanity Fair: Hollywood Scandal," Dennis Davern, the captain of the Wagner's boat, the Splendour, said, "I believe that Robert Wagner was with her up until the moment she went into the water." Wood drowned after spending several hours drinking on Catalina Island and a yacht with Wagner, fellow actor Christopher Walken (with whom Wood was co-starring in the film "Brainstorm") and the ship's captain, Dennis Davern. Tune in to "Nancy Grace" tonight at 8 ET on HLN for an interview with the boat captain about what happened that night on the yacht. Monterey Park, California (CNN) -- Actor Robert Wagner isn't a suspect in the reopened investigation into the 1981 drowning death of his wife, Natalie Wood, but authorities have received "substantial" new information to initiate a new inquiry, Los Angeles County authorities said Friday. "We have several sources coming forward with additional information and we have found it credible enough to take another look at the case," Los Angeles County Sheriff's Lt. John Corina told reporters outside the sheriff's headquarters in Monterey Park, California. "This new information is substantial enough to make us want to take a new look at the case," he added. The yacht captain, Dennis Davern, offered a new account Friday about how Wood's death was reported and said Wagner waited hours to call the Coast Guard after Wood went missing. When asked if the captain could face charges for possibly lying to authorities during the 1981 investigation, Corina responded: "That I can't say. We'll probably end up talking to the captain sooner or later and we'll assess what he has to say then and now." The approaching 30th anniversary of Wood's November 29, 1981, death isn't playing a factor in the new inquiry, he said. Wood's death is still ruled as an accident, he said. "Her death is ruled an accidental drowning. ... Until we find something that says it isn't, until that time, it's still an accidental drowning," Corina said. Earlier Friday, Davern said Wagner told those aboard the boat what to say to authorities about the incident. Wood was later found drowned. Davern said he first searched the boat to check whether Wood was anywhere on board. He said he then wanted to turn on the searchlight to see whether she was in the water, but that Wagner told him not to. "We don't want to do that right now," Wagner allegedly told Davern. After four hours, Davern finally called the Coast Guard. He now says he regrets waiting so long. "It was like a mistake that I made. I do regret that, yes. I do, really," Davern told CNN on Friday. Authorities announced Thursday the reopening of the investigation into Wood's death, which happened after an argument as the couple was boating off Catalina Island near the California coast. Wagner's publicist Alan Nierob issued a statement Thursday saying the actor's family "fully support the efforts of the L.A. County Sheriff's Department and trust they will evaluate whether any new information relating to the death of Natalie Wood Wagner is valid, and that it comes from a credible source or sources other than those simply trying to profit from the 30-year anniversary of her tragic death." Nierob said no one from the sheriff's department has contacted Wagner or anyone in his family about the case, one of Hollywood's most enduring mysteries. Last year, the actress' sister, Lana Wood, and Davern asked the sheriff's office to reopen the case. L.A. County Sheriff's Deputy Benjamin Grubb couldn't say whether the sister and the captain prompted the renewed investigation. Natalie Wood once said in a televised interview that her greatest fear was of dark seawater. Davern said that's why he felt it was doubtful Wood had taken the yacht's dinghy to try to go ashore. Wood's body was found floating in the water about a mile away from the yacht. According to police reports, Wood was found wearing a long nightgown, socks, and a down jacket. "My sister was not a swimmer and did not know how to swim, and she would never go to another boat or to shore dressed in a nightgown and socks," said Lana Wood. The autopsy report shows Wood had two dozen bruises on her body, including a facial abrasion on her left cheek, and bruises on her arms. Davern said he saw no bruises when the actress was aboard. Although the county coroner's office ruled that Wood's death was an accident, others say the case hasn't made sense. The Natalie Wood case wouldn't be reopened without yacht captain Dennis Davern revealing secrets from the night she died. We're talking to Davern and author Marti Rulli today -- why did it take the captain 30 years to open up? And who do they blame for her death? We'll take your phone calls at 855-TMZ-LIVE (869-5483) starting at 1:30 PM PT! Submit your comments via Twitter to @harveylevintmz or on our Facebook page at www.facebook.com/tmz! Former yacht captain of the boat Natalie Wood was on the night she died sits down with Nancy! Tune in tonight as he answers all the hard questions only Nancy dares ask. Do you think the Natalie Wood case should be re-opened? Natalie Wood’s death remains an enduring Hollywood mystery. It also will be discussed on ”48 Hours Mystery” at 10 p.m. Saturday on CBS. Natalie Wood case reopened: Could investigation lead to new charges? L.A. police reopened the case concerning the death of Natalie Wood in 1981, but experts say convincing evidence is needed to bring new charges – and new allegations aren't enough. It appears highly unlikely that the reopened investigation into the death of Natalie Wood 30 years ago – announced Friday by the Los Angeles Sheriff’s Department – will lead to any new prosecution in the case, say legal analysts. he case is being reopened because yacht captain Dennis Davern – one of only four people on board the boat with Ms. Wood the night she drowned – went on NBC’s Today Show this morning to say that he lied to investigators about the actress’s mysterious death 30 years ago. He alleged that Wood's husband, Robert Wagner, had something to do with her death, which had been classified as an accident. Later in the day, the L.A. Sheriff’s Department called a press conference and asked all who might know anything or have additional evidence to please come forward. But based on Friday's two events, legal analysts caution against jumping to conclusions. He and others say that cold cases solved in recent years are typically reopened because of DNA or other hard, forensic evidence – not a change in testimony. (CBS) Chrisopher Walken has hired a lawyer following the reopening of the investigation into the 1981 death of actress Natalie Wood. According to the Hollywood Reporter, the Oscar winner is being represented by Mathew Rosengart, a former federal prosecutor who is now a litigation specialist with a Los Angeles law firm. Wood drowned after spending several hours drinking with her husband, actor Robert Wagner, and Walken, her co-star in the film "Brainstorm," on the couple's yacht anchored off California's Santa Catalina Island. Sources told THR that Los Angeles Sherriff's Department investigators do not consider Walken to be a suspect. The website also reports that that Rosengart was hired to advise Walken in the inquiry, and that the actor is expected to cooperate fully. I learned from NG show, NW body was still warm when found, surprised me, because she was at sea for abt. four hrs. a few years ago, (I least) I believe it is the same book. What I remember (that stands out in mind) is she is quoted, asking her Hairdresser, why am I not happy, I have a beautiful house and beautiful children..." my answer would be to her, "you can not have your cake and eat it too". She wanted her youth back according to a source in the book.